Individuals with Alzheimer’s disease have unique legal and financial needs, as do their families. As you may or may not know, Alzheimer’s care costs are extremely high today. In New Jersey, depending on the level of long-term care required, costs are typically between $7,000 and $13,000 per month! As one can imagine, this is not spare change for the average family. Navigating through the emotional and physical demands of Alzheimer’s and Dementia care can be a difficult process. Calling upon the assistance of a knowledgeable Elder law attorney, among other professionals, can help ease the burden on your family. Fredrick P. Niemann, Esq. is an experienced Alzheimer’s and Dementia lawyer, having handled cases and lectured throughout New Jersey to various professional and community groups on topics including Alzheimer’s Planning, Asset Protection, Veterans Benefits, and NJ Medicaid. Please feel free to click here to see where and when Mr. Niemann will be speaking next. Alzheimer’s Planning sounds like a simple concept, and many persons are not familiar with even the basics of this planning. It involves asset and income protection, as well as life care planning. By combining estate planning, asset protection, Medicaid planning, and planning for nursing home and home-based care, you can help define your financial needs and ensure stability while making sure a loved one receives the proper care he or she deserves. Elder Law is a unique field of law that requires a concentrated knowledge of the unique problems presented to families who are forced to deal with Alzheimer’s or other serious diseases. The Alzheimer’s planning team at Hanlon Niemann & Wright helps advise families stuck with this devastating illness. One of Mr. Niemann’s key goals is to ensure quality care and the highest level of personal dignity possible for elder individuals. After all, this is what they deserve. To help achieve this goal, Mr. Niemann typically aims to protect assets as soon as possible. If you protect your money now, you can help to protect it throughout he Alzheimer’s planning process and sometimes qualify for Medicaid benefits. Shielding and protecting your assets now can be key for ensuring quality care for your loved one down the road. Do you have a loved one living in New Jersey who is suffering from Alzheimer’s disease or Dementia? Fredrick P. Niemann, Esq, of Hanlon Niemann & Wright is here to assist you as a knowledgeable and caring Elder Law and Elder Care Attorney with years of experience with Alzheimer’s and Dementia clients. 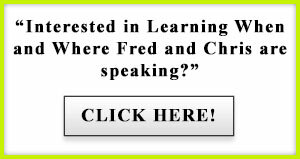 Fred wants to help ease your burden, answer all of your questions and offer you hope that solutions are available to help you and your loved one. Read this interesting article on how delirium differs from dementia, and how to spot delirium in the elderly. You’ll also learn what you can do to help your senior loved one before symptoms progress. in this interesting and informative video. Where Do You Start When Alzheimer’s Planning is Needed? Many individuals don’t know where to begin when a loved one is diagnosed with Alzheimer’s or Dementia. Others feel as though income restrictions may disqualify them from getting the help they need. Regardless of your income and assets, Mr. Niemann will help you deal with Alzheimer’s planning at any stage. He will work to address the issues most important to you. DID YOU KNOW: One out of every three people over the age of 65 – and 50% of those over the age of 85 – are or will become diagnosed with Alzheimer’s disease. In today’s world, over 5.2 million Americans and 26.6 million people worldwide currently suffer from this terrible disease. When Alzheimer’s strikes, family members are forced to deal with changes in physical and mental behavior in addition to numerous legal issues. At Hanlon Niemann & Wright, we focus on Medicaid Planning for families with someone suffering from Alzheimer’s or Dementia. Our goal is to get you the information and solutions you need in a time and cost-efficient manner. Long term health care costs for someone with Alzheimer’s or Dementia can destroy a family. Don’t let these costs bankrupt your hard-earned savings when you may qualify for Medicaid. Call us before filling out any Medicaid or VA application. We are often able to tell you at our first meeting whether or not it is possible for you to save money. To learn additional information about receiving up to $2,300 +/- in additional monthly income when Alzheimer’s and Dementia strikes a veteran or their spouse from the U.S. Veterans Administration, please visit our site on Veterans Aid and Attendance Pension Benefits (CLICK HERE). When Alzheimer’s and Dementia Strike Your Loved Ones, We Are Here To Help. Don’t Let a Lack of Knowledge Regarding Long Term Care Cost You Money! Many Individuals Are Unnecessarily Forced To Spend Down Their Life Savings, Sell Their Home and/or Assets, and Become “Broke” In Order To Pay For Nursing Home Care. The tragedy Is That They Didn’t Have To. Let Us Show You How You Can Get The Quality Long Term Health Care You Deserve Without Spending All Of The Money You Want to Leave For Your Family. New Jersey has strict medical and financial rules they force upon all applicants before the state approves you for long term care assistance. Unfortunately, this criteria requires you to be BROKE if you are single, widowed, or divorced. If you are married, the state typically requires you to spend half of your assets before they will provide assistance. If you do not meet these requirements, you may be forced to sell your stocks, house, or other assets simply to pay for medical bills that keep piling up. All of us would like to provide for our loved ones without losing our life’s savings. So how do you ensure that your family member with Alzheimer’s or Dementia receives quality medical care while protecting his or her assets? First thing you need to understand is that Medicaid will tell you that you cannot have assets totaling more than a few thousand dollars and that they usually limit payments to a “personal needs allowance” of somewhere around $50/$110 per month), an amount that clearly won’t suffice for a comfortable living. In addition to strict financial requirements, Medicaid closely evaluates your medical condition and they have gotten a lot tougher. Officials now audit your medical and financial records from as far back as FIVE YEARS, attempting to find evidence that you should be denied or delayed from receiving Medicaid payments that you are rightfully entitled to. As an experienced and trusted Elder Law attorney in New Jersey, I have worked with Medicaid officials and the government’s strict rules for years. My goal has always been to protect my clients from spending their hard earned money on medical care when they don’t have to. This is both my legal and ethical duty as an Elder Law attorney. Medicaid rules have been written in a fashion that the normal person typically cannot understand. The same goes for lawyers who are not experienced in the Medicaid and Elder Law fields. Don’t make the mistake of failing to seek the assistance of a knowledgeable Elder Law attorney. You could be losing out on a significant amount of money. Allow us to help you and your family navigate through the complex maze of Medicaid paperwork and rules. We are familiar with the landmines and boobytraps and know how to use the rules in your favor. I will dedicate the time and effort to you and your case that you deserve. Always remember, everything stays confidential. I had a client who had come to me for advice. Her mother had done no financial planning and had just had a stroke. The daughter was given power of attorney and was afraid her mother was going to lose the house she and her children were living in if her mother went on Medicaid. Fred was able to think outside the box and come up with a solution that solved their issues. He was also excellent at explaining the pro and cons of each decision so the family felt comfortable they were making the correct decisions. 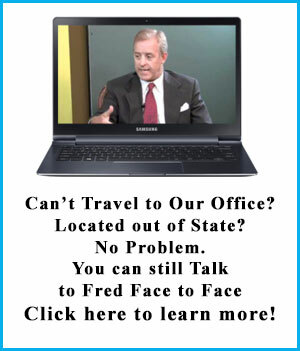 I would easily refer more clients to Fred.